Gary is very good at his trade, very thorough, and very patient. He just does a really good job. He worked with us, he was patient, and he also gave us good input. He does a great job. I'd say that Gary has a deep appreciation for wood, hardwood floors and vintage floors. He's almost like an artist. I liked his commitment to restoration as opposed to replacement. I think he did a great job. He showed up when he said he would, and was done when he said he was going to be done, and he did a great job. 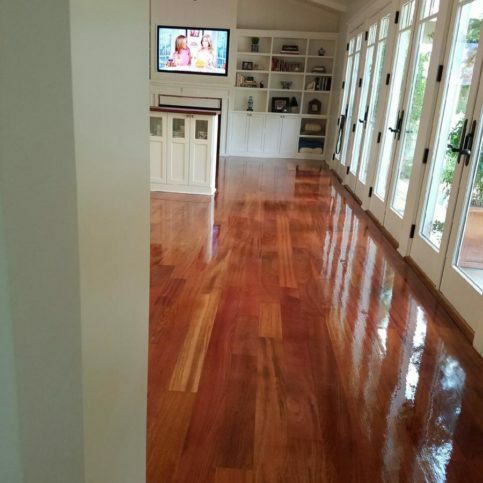 Jones Floor Designs refinishes, installs and repairs all types of hardwood flooring for residential clients throughout Contra Costa County. 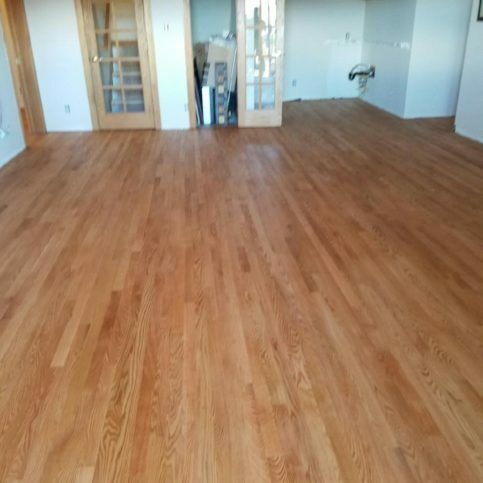 The company has the training and experience to work on everything from baseboards and moldings to stair treads and custom floors, and it utilizes a dust containment system that ensures each jobsite is 95 percent dust-free throughout the refinishing process. 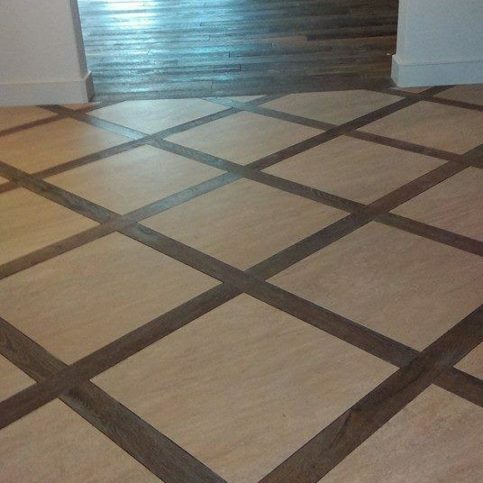 Jones Floor Designs installed, sanded and finished this hickory floor. 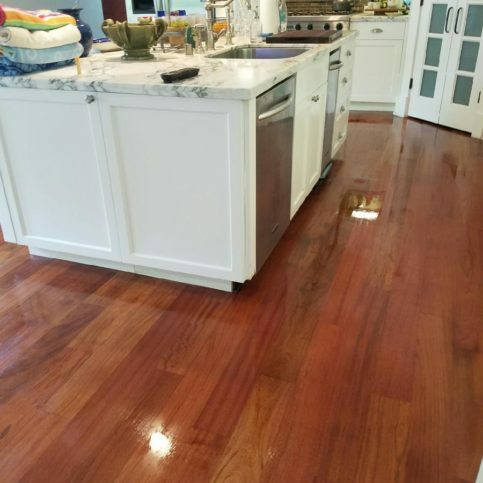 Jones Floor Designs has been refinishing, installing and repairing hardwood flooring for residential clients throughout Contra Costa County since 1987. The company has the in-house capabilities to work on everything from baseboards and moldings to stair treads and custom floors, and it uses a dust containment system that ensures jobsites are 95 percent dust-free throughout the refinishing process. If you’re planning to refinish your hardwood flooring, make sure you’re aware of recent changes in the industry. The days of hardwood floor refinishing companies using chemicals that are toxic to people, pets and the environment are quickly coming to an end. That’s because recent state and federal regulations and advancements in product manufacturing are creating a range of products that are more environmentally-friendly. According to Gary Jones, owner of Jones Floor Designs in Antioch, these regulations have both positive and negative impacts on homeowners. “New products are more durable and less toxic, but they’re also more expensive,” he notes. Still, many homeowners understand that paying a little more for better products that last longer and are safer for their families and the environment is a wise choice. 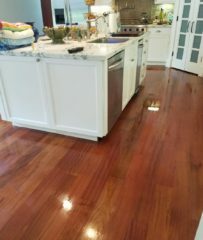 One sector of the hardwood flooring industry that has seen some of the most changes in products and environmental sustainability is stains and finishes. Specifically, oil-based stains and finishes are being replaced by water-based finishes that are better for the environment. While some contractors dislike the water-based stains that are currently available, the market is expanding and options are getting better. 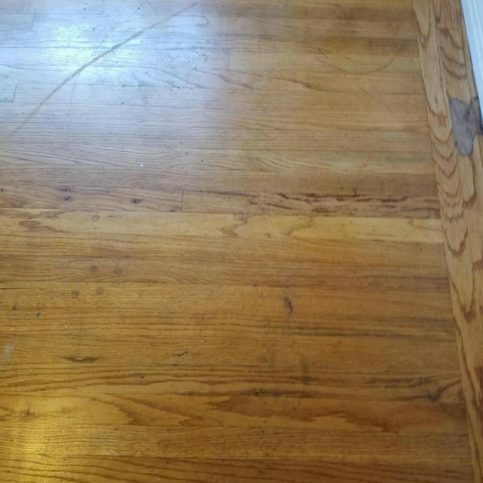 Q: How long will it take to refinish my floor? Q: Do you use environmentally-friendly products? Q: Will you protect my home while you’re working? Q: Can you tell if my floor is solid wood or an engineered product? 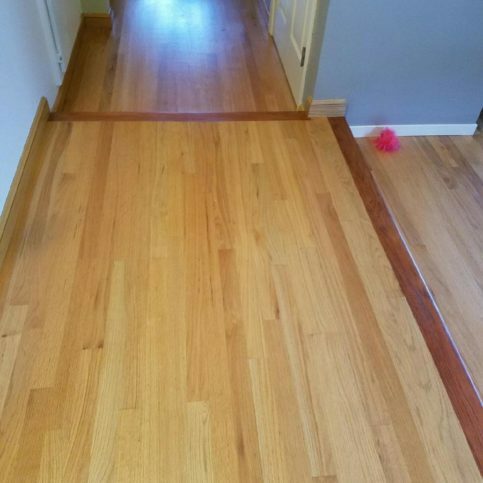 Q: How many times can I refinish my floor? Q: How often should I recoat my flooring? Jones Floor Designs added a dark stained feature strip to this floor to create a safer transition between levels. 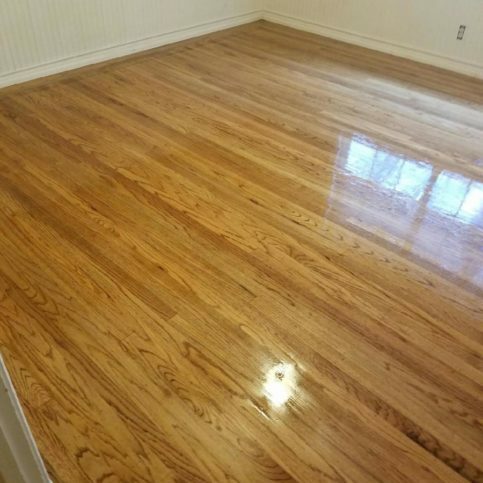 Jones Floor Designs refinished this oak floor to remove scratches and restore the natural beauty of the wood. 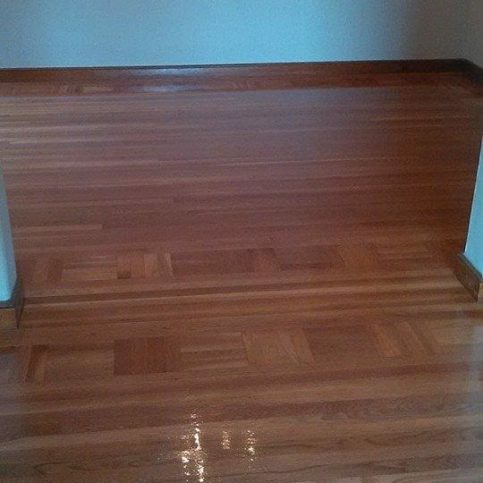 Jones Floor Designs installed, sanded and finished this solid oak floor in a client’s Fremont home. Gary Jones is a 30-year veteran of the hardwood flooring industry and owner of Jones Floor Designs, a Diamond Certified company. He can be reached at (925) 365-6761 or by email. A: Black Bear Diner in Oakley. A: Thanksgiving—it’s a time for the whole family to get together. While cleaning is critical for maintaining your hardwood floors, you can minimize the amount of dirt that enters your home in the first place by putting rugs and walk-off mats at entrances. Entrance mats are especially important in winter, as they keep water from being tracked onto your floors. Besides preventing dirt from entering your home, there are ways to make it less noticeable. 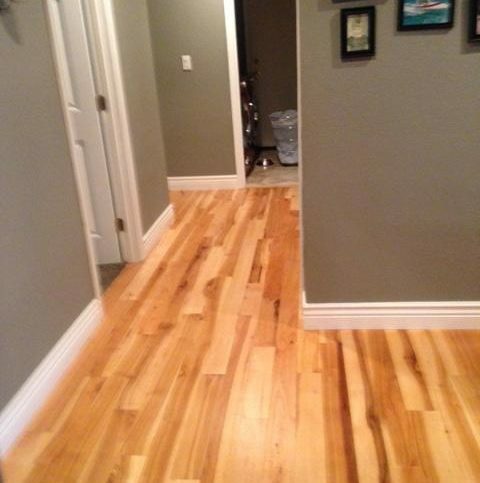 Since darker wood floors tend to show dirt more, consider lightening the color of yours the next time you refinish. Furthermore, rather than applying a glossy finish that highlights dirt and imperfections, consider applying a satin finish, which produces more of a matte effect. 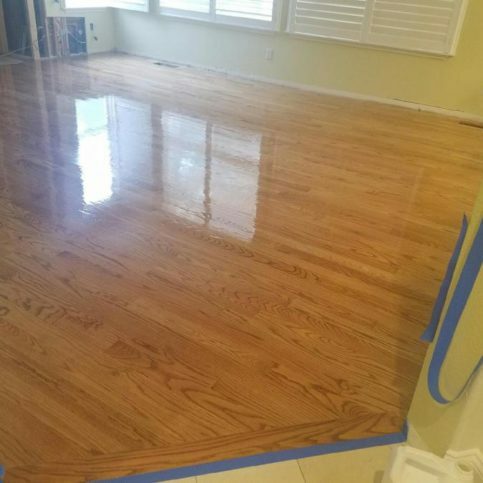 Diamond Certified Expert Contributor, Gary Jones: For maintaining your floors, I suggest to use the Bona Floor Cleaning Kit, which helps with scratches, scuffs, reconditioning, and brings you a shine back to your floors. The Bona Floor Kit comes with a mop, a spray, and new pads to clean your floor with. You can use vinegar and water. 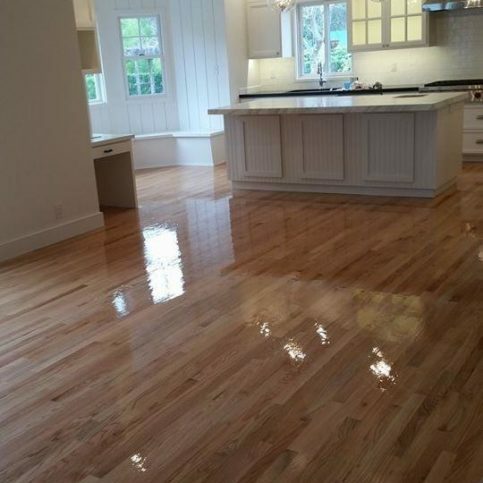 That helps to bring back the shine and keep your floors in pristine condition. During the rainy season, it’s good to keep a rug at your front door so that you’re not tracking in lots of water. But we do offer a satin finish, which you don’t see the footprints quite as much. Most customers prefer the satin finish. Jones Floor Designs : Average 9.5 out of 10 based on 23 unique customer surveys of customer satisfaction. I would say that the men I worked with at the company were flexible and prompt. I would tell my friends to use them. They did a fantastic job and were very prompt. They worked for my son as well, so my entire family is very satisfied. Don't hesitate to use them. He was accommodating, professional, and had an impeccable work schedule, beautiful work. They were careful and consistently asking for feedback. They are very professional and clean. I would say that they communicates well. He was very flexible. He is also versatile. He was right there with answers to any questions that we had, and he was very qualified. They did great quality work. I would say the best thing that they did was the refinishing of our floors. They are very professional and very helpful. Give him a call. I'm sure he can help you with what you need. That they got in and got the job done, and it looks great. They are very punctual and helpful with color choice. They are also highly competent with consulting concerning color selection and more. That he was very diligent and on time, he did a very good job during the process as well as cleaning up. He also came out to give us a follow-up on some questions we had on flooring. We were very well satisfied with the service. His professionalism, he was on time and was very careful in his work, and explained what he was doing. They are a good, solid company to hire.